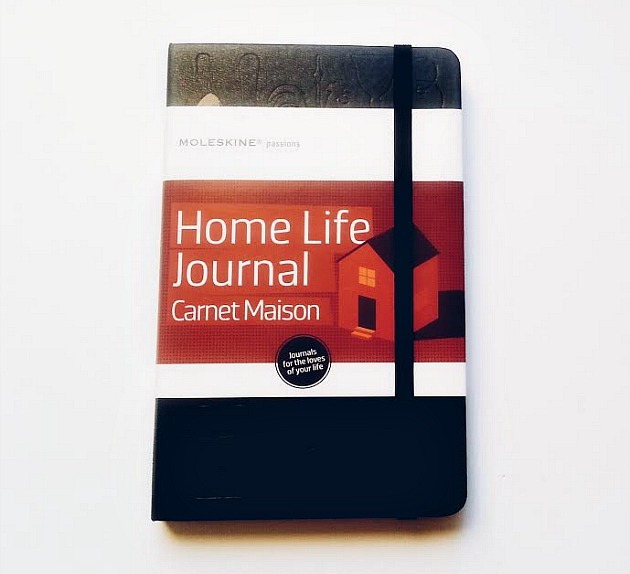 As I was shopping for a carry-on bag yesterday, I came across this Moleskine Home Life Journal. At first, I wasn't sure what to think of it. "Do I need it, do I not? Will I use it? Will I not?" But after thumbing through it, I realized that this could come in handy for my upcoming move. The fiance and I are packing up and settling into a new place next month, so this might be what I need to help organize all of the decorating ideas I have in mind. For the last month I've just been using my DIY midori insert for any new projects and organizing plans, but hey, this was on sale at TJ Maxx for $4.99! Couldn't pass it up. Plus, I've never used a real Moleskine planner before, so I figured this is the time to finally test it out for myself. There are 6 labeled tabs already there for use, but in the back, which you can't see as it's hidden by the "inspirations" tab, are 6 more tabs that I can customize myself and make them into whatever I want. It even came with stickers in the back pocket that could be used as well. So as time goes on and I start to stuff this notebook with ideas, I'll let you my final thoughts. 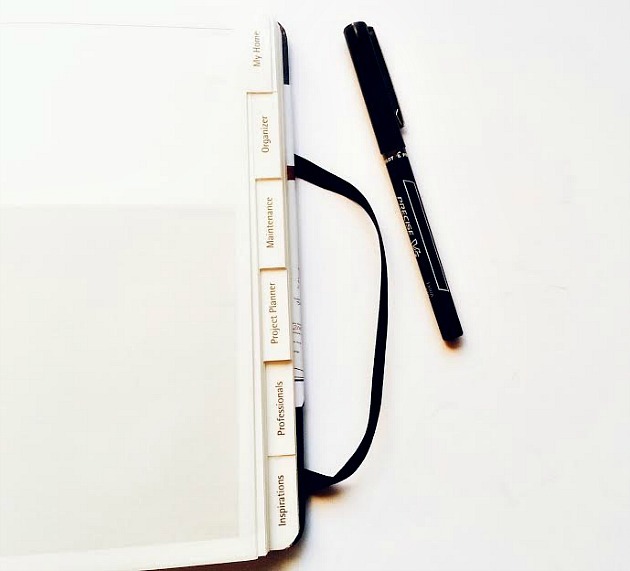 Have any of you used a Moleskine Passion Journal? I saw that there was a travel one, too. Might have to look into that and see what the paper design looks and feels like. You can never have too many travel notebooks. It looked good when I got it, so we'll see. I hope you're doing well, Jade! Hi, I'm new to your blog but I already am head over heels in love with what you are doing on here. I am a slightly obsessive journaler and love learning and seeing all the cool new techniques and tools you are using. I've already gleaned several ideas just from browsing your blog! I have seen these moleskines around and I am a huge moleskine fan in general. I have not however used any of the passion journals. I always worry that the organizational structure won't suit me well. I look forward to seeing how you use yours and if it in fact does help you better organize and track all things home. Also, good luck with your move. I remember moving last year. It required a ton of organization, but somehow we got it done. Although, we still have a lot of lingering home improvement projects in the horizon. I'll need all the luck I can get with this move. I have a ton of "stuff" that I'm in need of parting with, but I'm just not finding the strength to let it all go....ha ha! (Most of it is my craft area and stationery pile.) Crossing my fingers that everything will go smooth and according to plan. Hope to see more of you around the blog!